This casual sofa group is the ideal place to relax any time of day. The track arms give you plenty of arm space and exposed block feet add a fun element of design. The pillow back brings extra coziness, and its large shape keeps you comfortable. 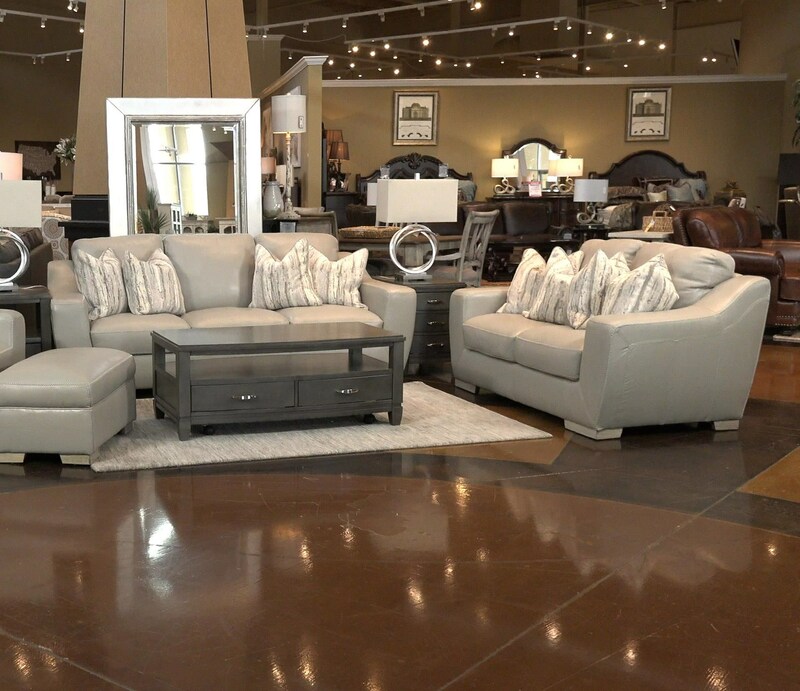 The Bowie Cement Leather Sofa & Loveseat by Simon Li at Great American Home Store in the Memphis, TN, Southaven, MS area. Product availability may vary. Contact us for the most current availability on this product.